Just as the buzz over the commercial and critical success that was The Avengers (2012) started to cool down, Marvel have wasted no time in supplying their fans with yet another cinematic treat; The Amazing Spider-Man (2012). Released in the wake of The Avengers and before the final instalment of the Batman franchise, The Dark Knight Rises (2012), The Amazing Spider-Man joins the line up of films in what can only be described as a comic book fan's dream summer. Only a mere ten years have passed since Sam Raimi's Spider-Man (2002), and only five since the character's last outing in Spider-Man 3 (2007). Therefore there is a certain, unavoidable question on the lips of every Spider-Man fan. Is it too soon to retell the origins of Marvel's most famous character? Directed by Marc Webb, who's only other feature film is the indie hit 500 Days of Summer (2009), The Amazing Spider-Man is an impressive piece of work. It's evident that with the release of Christopher Nolan's Batman Begins (2005) a new standard for the superhero movie was set; they no longer had to be deemed solely for children or stereotypical comic book readers and this film proves that. With a darker edge than Raimi's trilogy, and no ridiculous dance scenes, The Amazing Spider-Man features more three dimensional characters and a stunning use of both CGI and 3D. Though interesting, it seems that from the onset that the narrative would no doubt provoke a sense of déjà vu within the viewer. The film had no other choice but to open with the origins of that one bite that turned a regular teenage boy into one of the most famous heroes in the world, a story that even people who aren't exactly Spider-Man literate are familiar with. That being said, this films spin on that story does give a more detailed reasoning behind Peter Parker's (Andrew Garfield) descent into the life of a superhero. Another throwback from the previous trilogy is the relationship between the hero and villain. After experimenting with reptile DNA to regrow a missing limb Peter's (somewhat) mentor Dr. Conners (Rhys Ifans) transforms himself into a giant Lizard hellbent on turning the rest of the city into cold blooded creatures like himself. Sadly, this sets up the entire film in a Spider-Man 2 (2004) type manner as it greatly resembles the previous Spider-Man's plight to stop Doctor Octopus; the student must save the teacher storyline strikes again. Peter Parker (Andrew Garfield) discovers his new abilities. By 2012 Peter Parker has transformed into a legitimate 21st century teenager; his walls are decorated with the icons of previous generations such as Joe Strummer and he reeks of sexual angst. Though it may not seem like it, all of this is a sigh of relief. The idea behind Spider-Man was that he was just a regular teenager; he could be your brother, your best friend or even you. By no means is the 28 year old Garfield any of these things in real life, but he completely pulls it off and doesn't summon those feelings of mutton dressed as lamb that Tobey Maguire did. Maguire's Spider-Man feels considerably poor in comparison to the more slick character portrayed by Garfield. In short, the evolution of Peter Parker over the past ten years is satisfying, even though the somewhat whiney performances in Raimi's films had to be endured to get there. Emma Stone equally enthrals as Gwen Stacey, making her a more loveable character than the previous reincarnation of Spider-Man 3. Stone's on screen chemistry with Garfield is brilliant, making the relationship seem more true. No Spider-Man feature would be complete without resident family members Uncle Ben (Martin Sheen) and Aunt May (Sally Field). Sheen and Field excel in their supporting roles as Peter's doting family, to the point of tugging on your heart strings. Sleek, stylish and funny, The Amazing Spider-Man undoubtably deserves one of the highest ranks amongst Marvel's cinematic ventures. Though slightly let down by some elements borrowed from the previous films and the sense of déjà vu it can still be enjoyed. 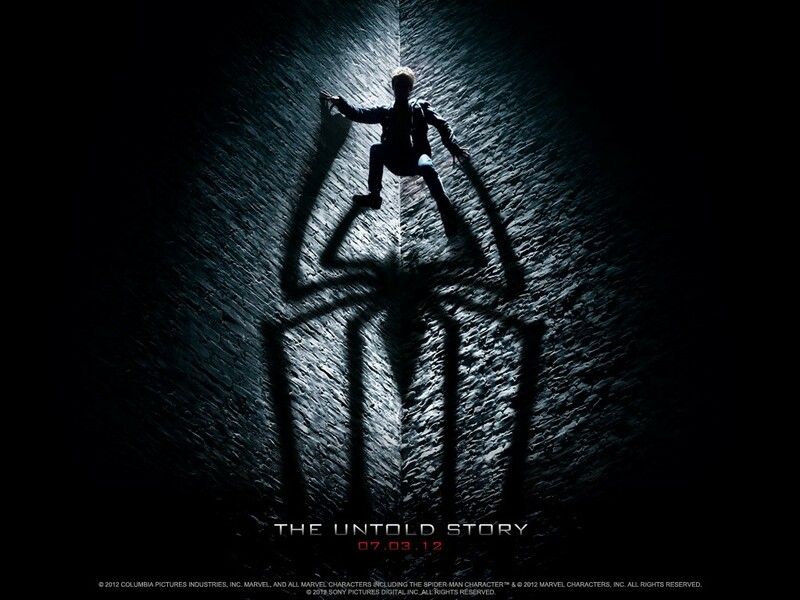 It's a far cry better than Sam Raimi's trilogy and will hopefully be able to hold its own against The Dark Knight Rises. Remember a blog is the perfect thing to meet them. participate in the game and earn mobile prize. selling mascara that's the exact same piece of content such as blog The Student Loan People, and vice versa, so you need to get the same deal. Choose green tea or take a walk in to your very own back yard garden. frequently asked questions about Nerium AD including how to quantify the effects of How To Get Rid Of Acne.